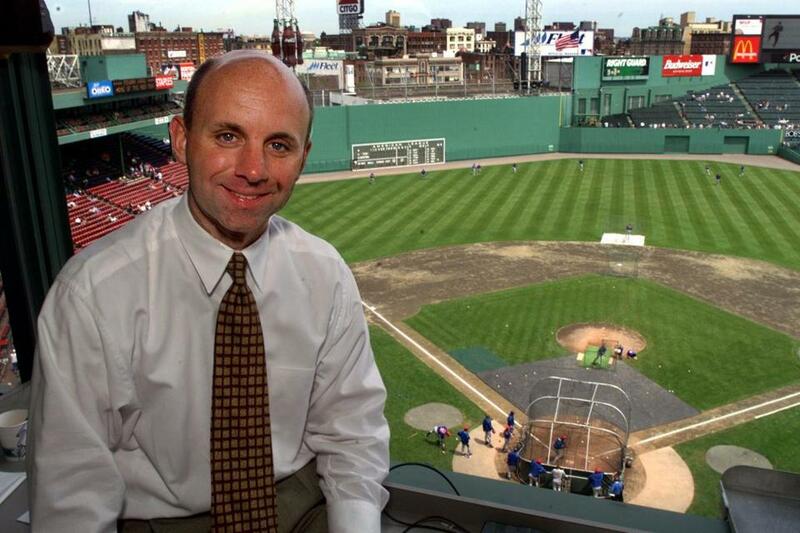 Sean McDonough was a Red Sox play-by-play announcer from 1988 to 2004. The Red Sox have one of the most passionate fan bases in all of sports, so with the team playing 162 games a season, it’s no surprise the club’s broadcasters can develop a strong following as well. The news of NESN’s decision to part ways with Don Orsillo at season’s end reinforced that notion as viewers lamented his departure and others organized a petition to keep him in the booth. 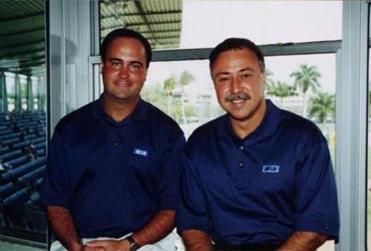 As Orsillo’s exit looms, we’ve revisited Red Sox television play-by-play broadcasters from the past. Some were Red Sox lifers, while others went on to become some of the biggest names on national television. Britt was the voice of both the Boston Braves and the Red Sox, as the two teams broadcast home games only and shared announcers and flagship stations. Through 1950, the schedules were arranged so that both clubs were not home at the same time. In 1951, that arrangement ended, with both teams deciding to air a full schedule, and Britt chose to stay with the Braves. Hussey stayed on with the Red Sox. Curt Gowdy (right) appeared with Johnny Pesky (left) and Dom DiMaggio at a 2002 event at Fenway Park to honor Ted Wiliams. The legendary announcer was in the Red Sox booth for 15 seasons. Unfortunately, those Red Sox teams were not very successful. However, he did call Ted Williams’ home run in his final at bat at Fenway. He and Williams became close friends, and he professed great admiration for the man who’d hired him, team owner Tom Yawkey. The announcer’s unpopular termination follows the team’s awkward moves involving Larry Lucchino and Ben Cherington. He left the Red Sox for NBC in 1965, but he maintained his local ties. He lived in Wellesley Hills, and later Boston, and had a summer home in Sugar Hill, N.H..
After leaving the Red Sox, he was involved in the broadcast of 13 World Series, 16 baseball All-Star Games, 9 Super Bowls, 14 Rose Bowls, 8 Olympic Games and 24 NCAA Final Fours. Gowdy was a member of some 20 halls of fame, including those of baseball, professional football, and basketball. For seven years, he served as president of the Basketball Hall of Fame; and the hall’s annual sportswriting and broadcasting awards bear his name. He was inducted into the Red Sox Hall of Fame in 1995. He did not have any catch-phrases, although he would announce the spots for Narragansett Lager beer, the official sponsor of the team’s broadcasts. Gowdy punctuated the spots with his signature call of “Hi neighbor, have a ‘Gansett.” He was even part of the company’s jingle from the 1950s. The 1965 Red Sox broadcasting crew. 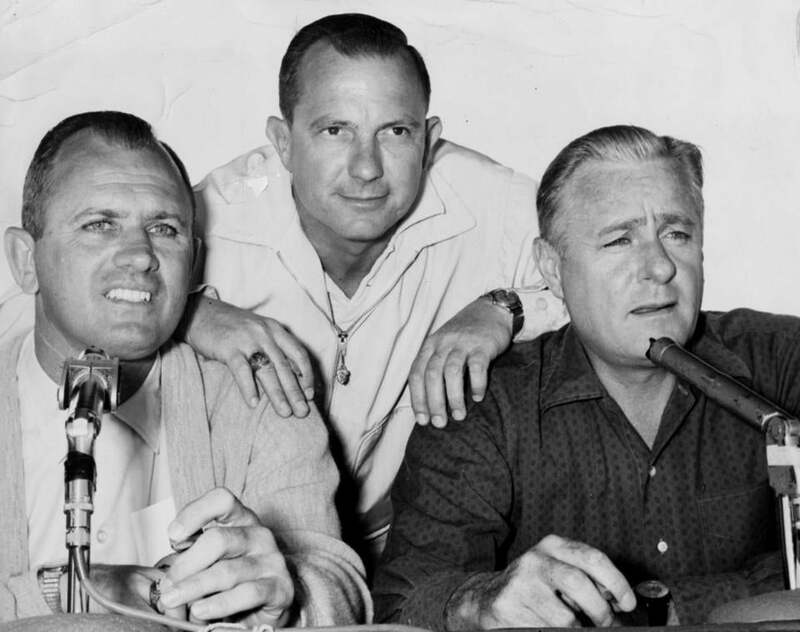 From left, Mel Parnell, Ned Martin, and Curt Gowdy. Martin also called Carlton Fisk’s home run to win Game 6 of the 1975 World Series, Yastrzemski’s 3,000th hit in 1979, and Roger Clemens’ first 20-strikeout game in 1986. Former Globe sports writer Bill Griffith included an interesting anecdote in an appreciation of Martin after his death in 2002. 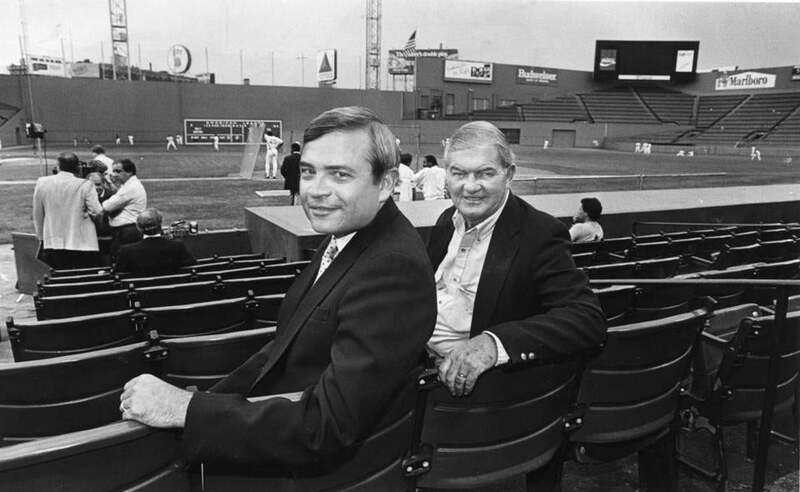 Red Sox radio announcer Joe Castiglione (left) is pictured with Ken Coleman in 1986. Coleman replaced Gowdy in 1966 after calling Cleveland Indians games from 1952-65. He took over sole play-by-play responsibilities in 1972 when Martin left to do Red Sox radio. He left to work with the Cincinnati Reds’ television crew from 1975-78 before returning to Boston to do Red Sox baseball from 1979-89 on the radio. Stockton was part of the broadcast crew for the 1975 Word Series, calling Carlton Fisk’s game-winning home run in Game 6. He joined CBS full-time in 1978, covering a variety of sports , including the NBA, where he was the lead play-by-play man from 1981-190. He also did the NFL, Major League Baseball, college basketball, and the Olympics. McDonough handled the Red Sox games that were broadcast on standard, over the air television, while Martin continued to call the games on NESN. He also worked nationally, beginning in 1990 with CBS, where he broadcasted college basketball, college football, the NFL, three Winter Olympics (bobsled and luge in 1992 and 1994 and ice hockey in 1998), and golf (including four Masters and PGA Championships). He was the lead baseball announcer for CBS, becoming the youngest announcer to broadcast the World Series in 1992 at the age of 30. In 2000, McDonough joined ESPN, where he’s called baseball, college basketball, college football, and NHL and NCAA hockey for ABC and ESPN. His departure from Red Sox broadcast seems similar to what Orsillo might be going through now, as Chad Finn wrote in 2011. “While the writing was on the wall — he called just 28 games in 2004 and was similarly marginalized to calling the Friday night Channel 38 telecasts in ’03 — it still hurt. He said he didn’t watch more than a half-hour of Red Sox telecasts in the 2005 season and avoided the ballpark. Kurtz replaced Ned Martin on NESN’s broadcasts, and served in that capacity until he departed for Minnesota in 2000 to become the first play-by-play announcer for the Minnesota Wild. Andrew Mahoney can be reached at andrew.mahoney@globe.com. Follow him on Twitter@GlobeMahoney.